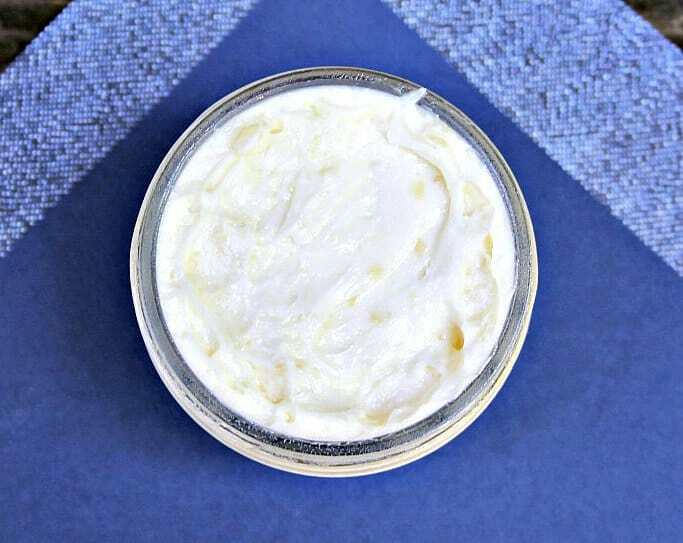 Make your man a homemade moisturizing beard balm to use on his beard or on his face as an aftershave. 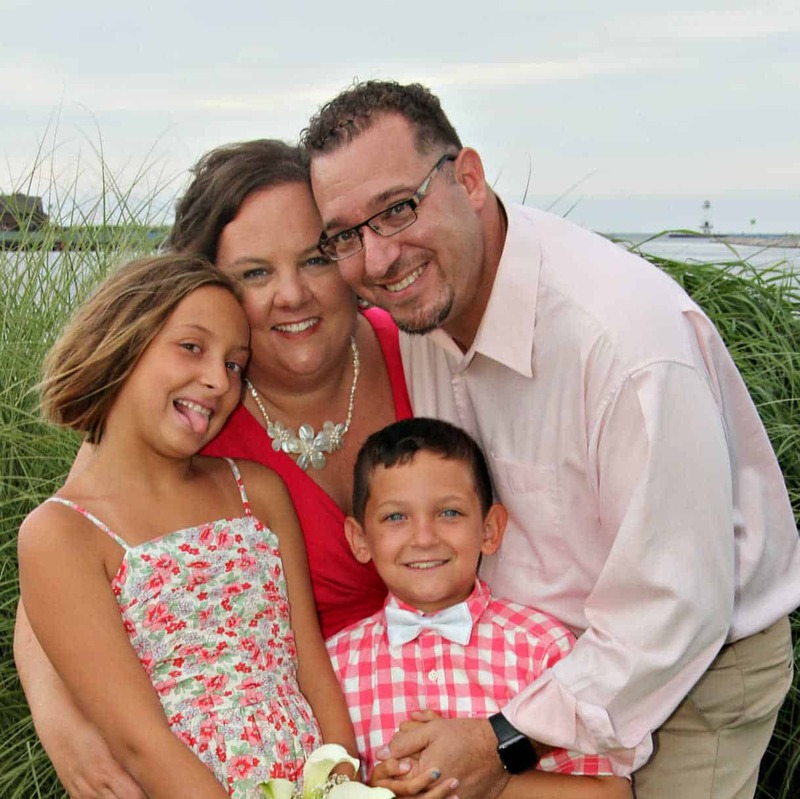 My husband has had a small goatee and light mustache since the day I met him. He shaved it off one summer. It just didn't work and he grew it back. 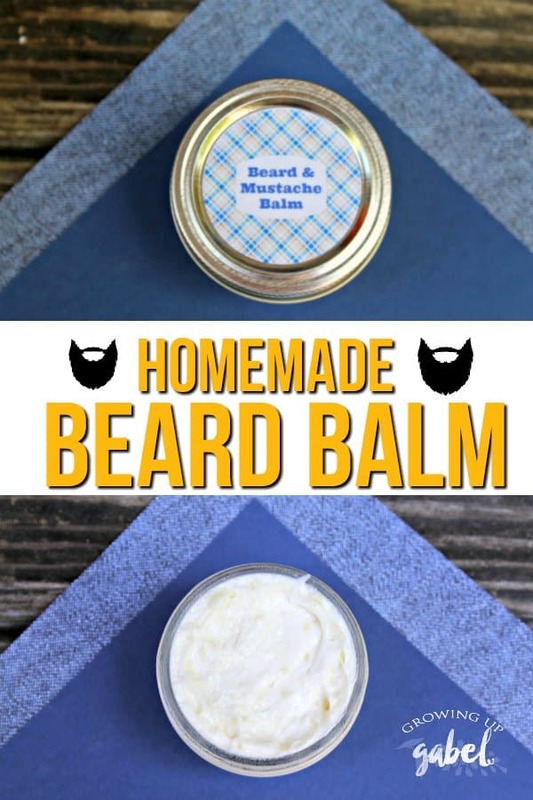 While I don't have a remedy for keeping the sink clear of facial hair, this beard balm will at least help keep your man's beard soft and healthy. Beard balm serves two purposes. First it helps style and shape your guy's beard. This is particularly useful as the beard grows longer, as in fashion these days. Beard balm can also help the beard look thicker. The second purpose of beard balm or beard oil is to moisturize the beard. Let's face it, facial hair is not exactly the softest hair. 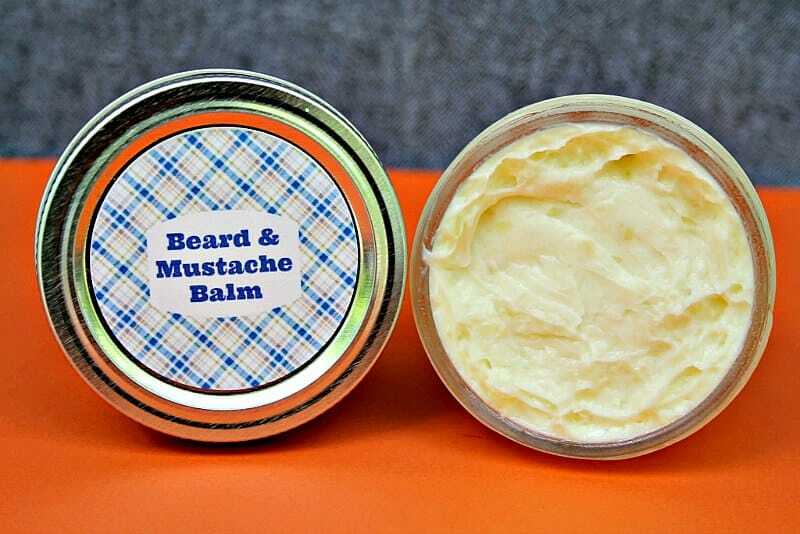 The balm will help keep the beard from drying out and moisturize it. The oils used in this beard oil are all there to help promote healthy beard hair and facial skin. Calendula oil is made from marigolds and it helps moisturize and boost the appearance of skin. Raspberry oil has a natural SPF so it helps protect your man from the sun. Raspberry oil is anti-aging and it helps soften wrinkles and smooths skin. 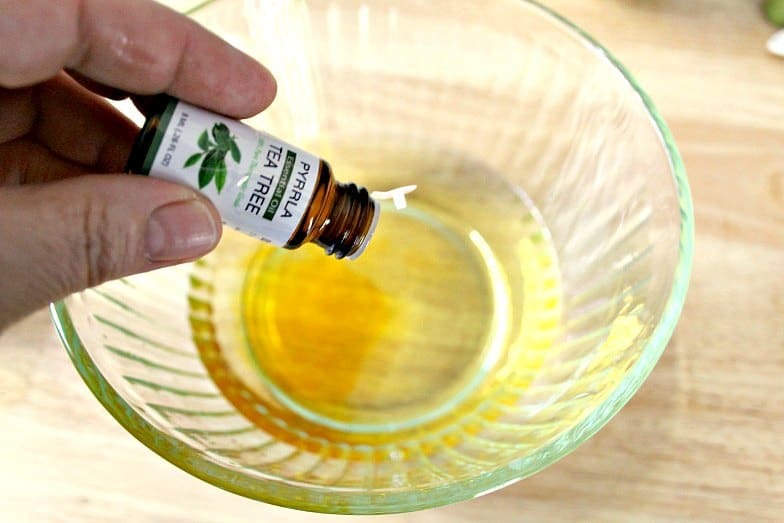 Tea tree oil is a natural way to fight skin issues and keep skin healthy. Lavender oil is soothing and gentle and relaxing. 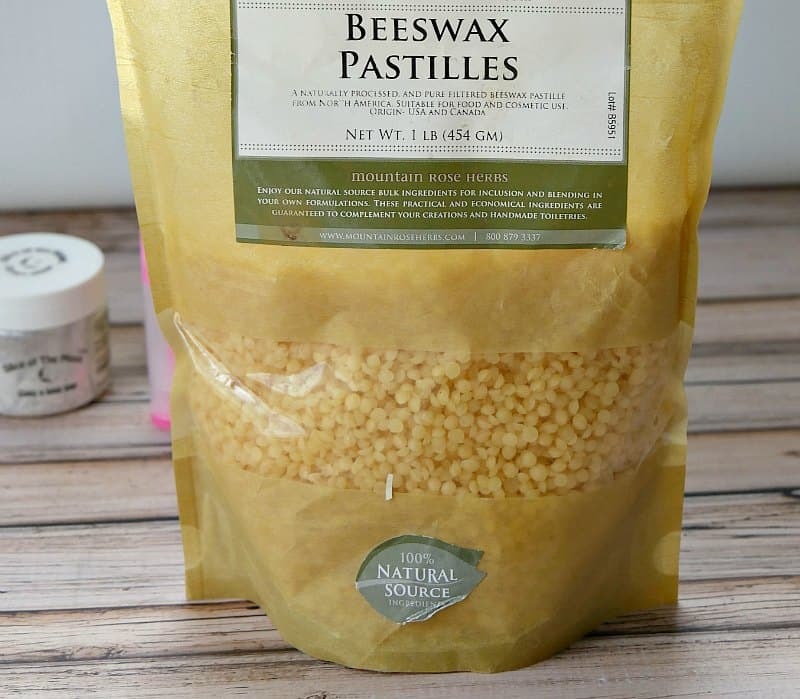 To begin, melt the beeswax pastilles in a double boiler on the stove. Put the pastilles in a glass liquid measuring cup. It makes a lot easier to pour the liquid in to the tubes. 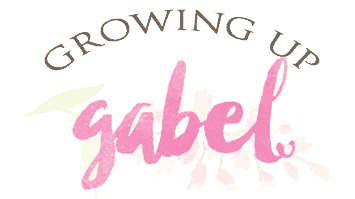 I have a measuring cup set aside that I use only for homemade and DIY projects. You can also use a coffee can or another disposable container. 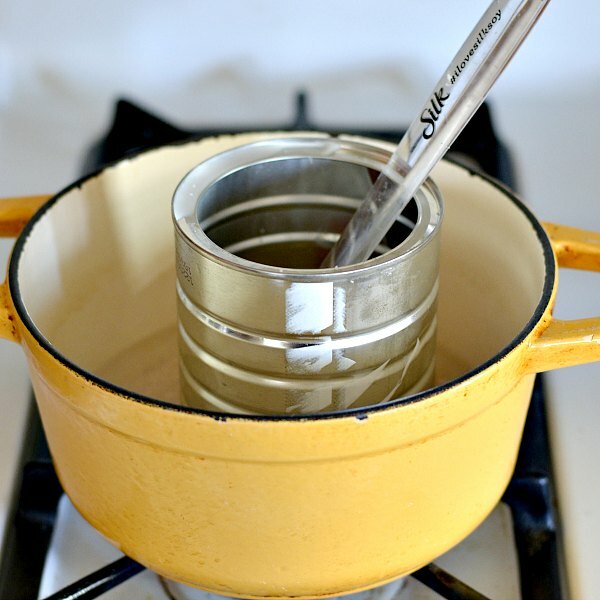 Just toss the container after use as the beeswax is hard to clean off. 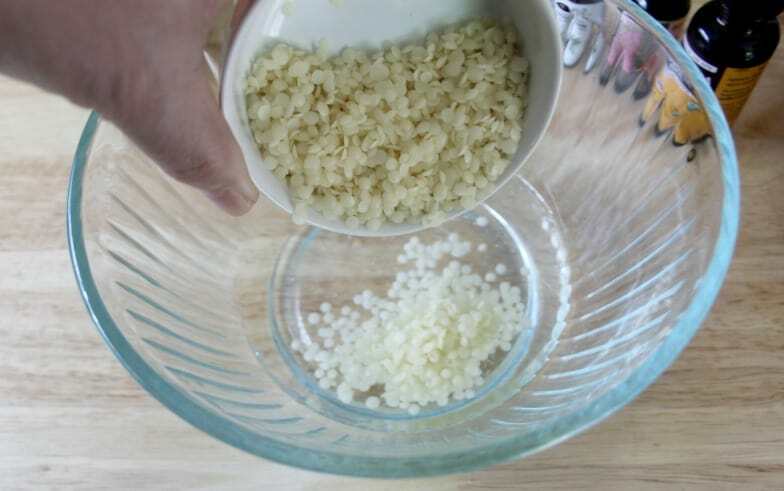 You can also simply melt the beeswax in a microwave in 30 second intervals until wax is melted. 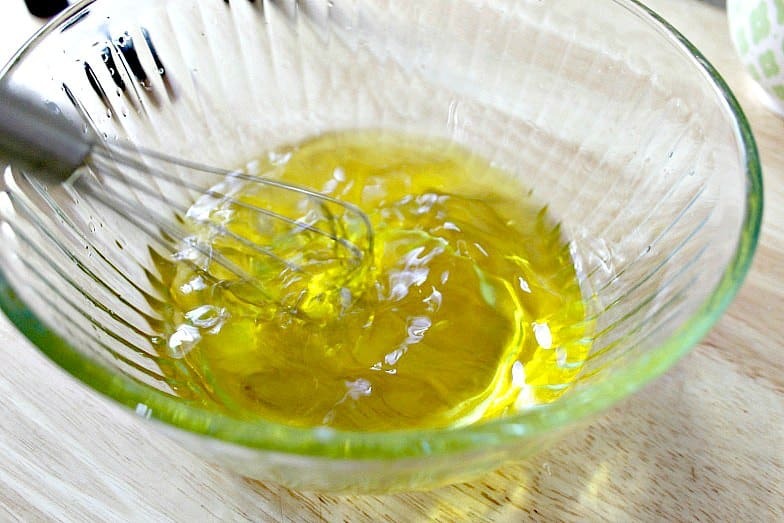 Add the coconut oil and olive oil to the beeswax and stir to combine. 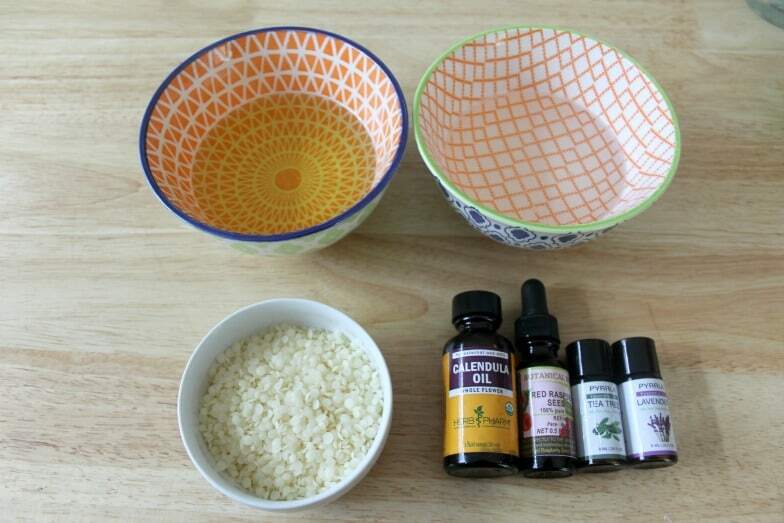 When the mixture has cooled just a bit, add the raspberry oil, tea tree oil, and lavender oils. 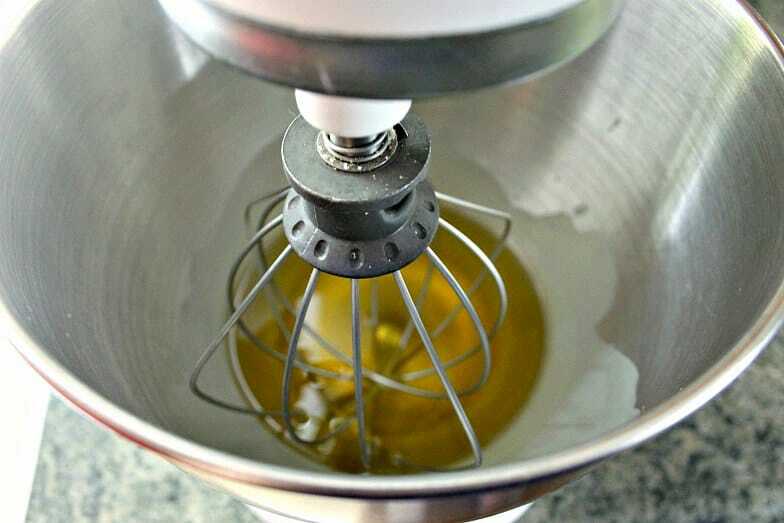 Carefully pour the mixture in to the bowl of a stand mixer or a large mixing bowl. 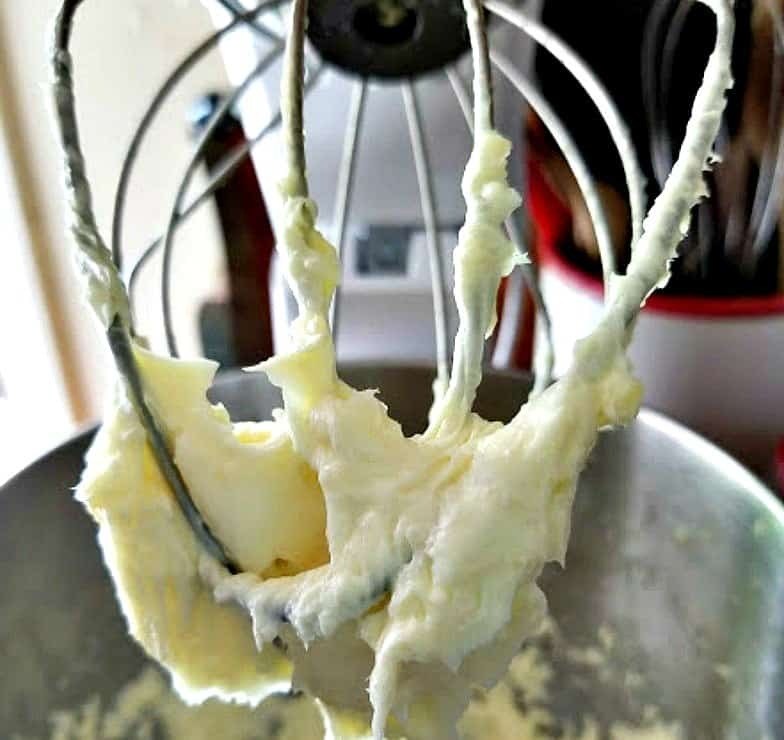 Beat on high for 2 minutes with hand or stand mixer until light and fluffy. Store in an air tight container until ready for use. Small canning jars are great for the beard balm. Use beard balm on a dry, clean beard. Dip out a dime sized dollop of the beard balm with a finger. Gently rub it in your hands a bit to soften. Start at the neck and run your fingers and palm through the beard. Work out and away from the face but make sure to get the balm on your skin at the hair follicles. Work the balm evenly through the beard hair. 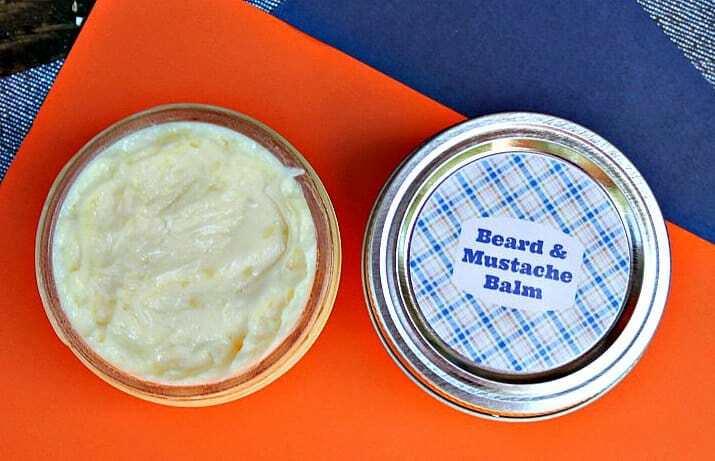 The beard balm can also be used on a mustache and any hair around the mouth. A boars head beard brush is a great addition to the balm to help distribute the balm evenly.